Meanwhile, sauté the shallots or onions, thyme, garlic and basil. Toss in the jerusalem artichokes and sauté for a few more minutes. 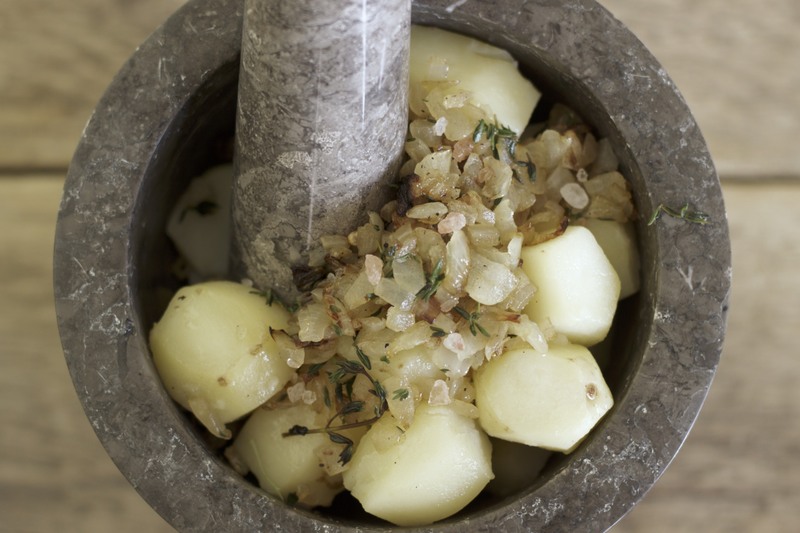 Withdraw from the heat and use either a potato masher or a pestle and mortar (as I did) to lightly smash the potatoes. I was never a baking aficionado. By the time I got stuck into cooking (I used to pride myself on barely knowing how to boil an egg), I was already on the low grain bandwagon, before committing to pretty much going almost totally grain free (and certainly totally gluten free). 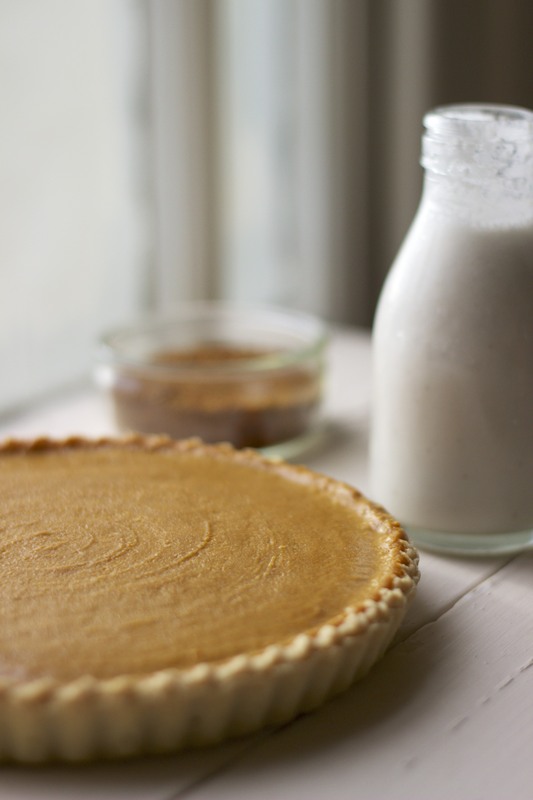 So for something as precious as the crust of your Thanksgiving pie, I’m sending you to an expert – Gluten Free Girl. Her 3, 2, 1 pastry method is pretty fool proof – with a few caveats! My instinct is always to make raw pies. They’re healthy and delicious – requiring no eggs. Problem is, they’re an acquired taste, and it’s unlikely that families will greet them with anything but suspicion on Thanksgiving. I really recommend trying this recipe a few days in advance (maybe put together a mini pie, or freeze it for a later date), as you don’t want to ruin your Thanksgiving if something goes wrong. The ingredients of this pie are antihistamine, anti-inflammatory, low oxalate and paleo. Creamy coconut is easy to make at home. Crack open a mature coconut. Chop it up into smaller bits and then toss into a powerful blender (I use a Vitamix) with about a cup of water. Buzz and then strain in a nut milk bag. Pour into a bowl and allow to settle somewhere cool. In about an hour (less if it’s cold), you’ll see that the really creamy stuff has risen to the top. Scoop up as much as you can. The layer that forms again once you’ve scooped it all up is also great, but more watery. For the sugar I chose to use my favourite new find – Coconom. This great stuff has added organic juiced ginger, tamarind and turmeric. In a medium bowl mix the roasted butternut squash, creamy coconut, eggs, flour, sugar and vanilla. Pour into your pie shell and bake at 360F/180C till firm, but cooked through. Should take between 45mins and an hour, depending on your oven. Please make your Amazon purchases though my site – this costs you nothing extra, but allows me to continue providing countless hours of research and monthly recipes to you for free! You’ll find everything I talk about on this site or in my books in the “SHOP WITH US” drop down menu.